If your staff know how to extinguish small, uncomplicated fires in the early stages, they can save lives and prevent potential damage to your workplace. Of course, they should never put themselves at risk and making an assessment of the situation is part of the Fire Extinguisher Training Course. 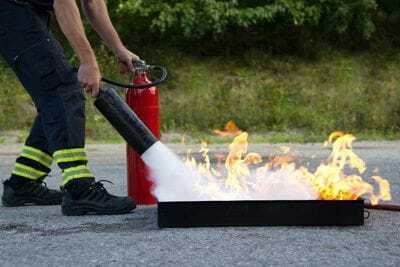 At Elite Fire Training, our motto is 'involve me and I will learn', so all participants will have experience of using a fire extinguisher to put out a proper fire. This very real fire is created by a fire simulator, so it is completely safe. Multiple sessions are available for shifts to ensure core roles are always covered. Maximum of 15 participants per session (additional sessions can be made on the same day if required). All sessions are conducted onsite at your premises. Public courses are currently not available.